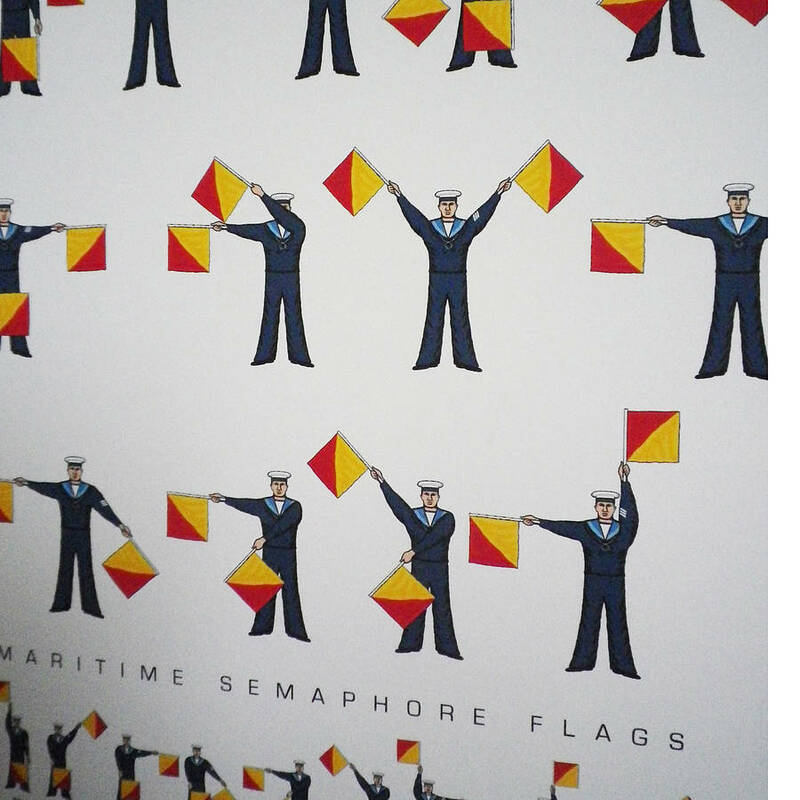 A striking graphic print with a message written in decorative naval semaphore flags that would be a talking point in your home or office. 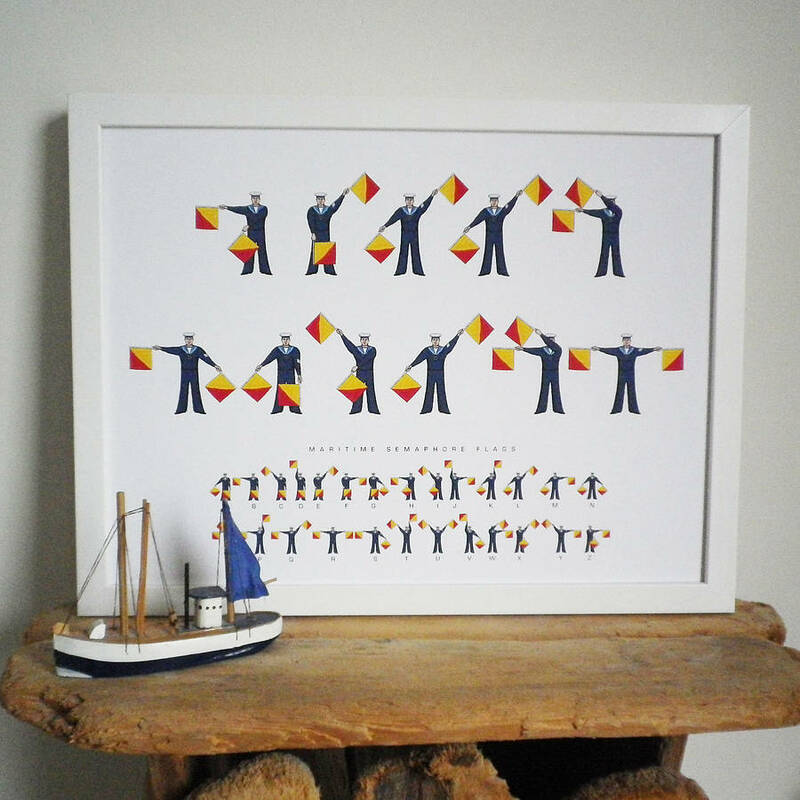 I have illustrated my own alphabet of royal navy semaphore flags to create decorative and original prints that would make an unusual and original addition to your own home or as a gift for anyone who loves sailing or nautical decorations. 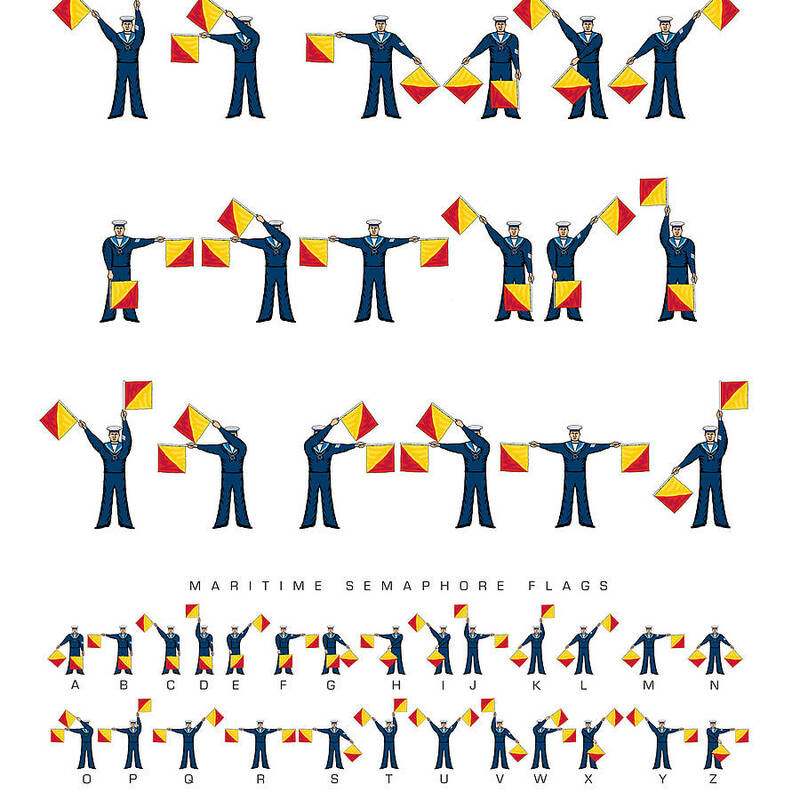 With a message already prepared or you can create your own to be spelt out in semaphore flags. Would make a perfect personal or company leaving or retirement present, or for a birthday, anniversary, valentine or as a reward for doing something extra special. A key at the bottom of the print enables translation but if you want to keep your message private you have the option to remove this! To order one of these choose the "No thank you" option in the "Personalising" drop down box and select which phrase you want in the" Ready Created Print Choice" option pull down box. For personalising there are up to 5 lines for you to create your own message for any occasion or just for fun. The shorter the message the bigger the images will be. 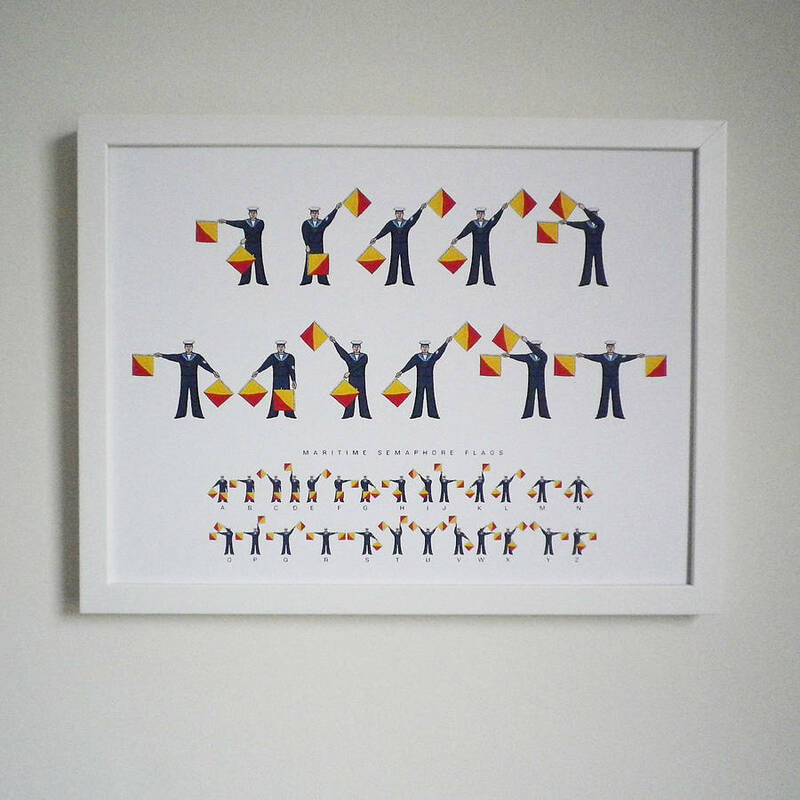 Please note the alphabet does not include numbers, punctuation marks or ampersands (&). 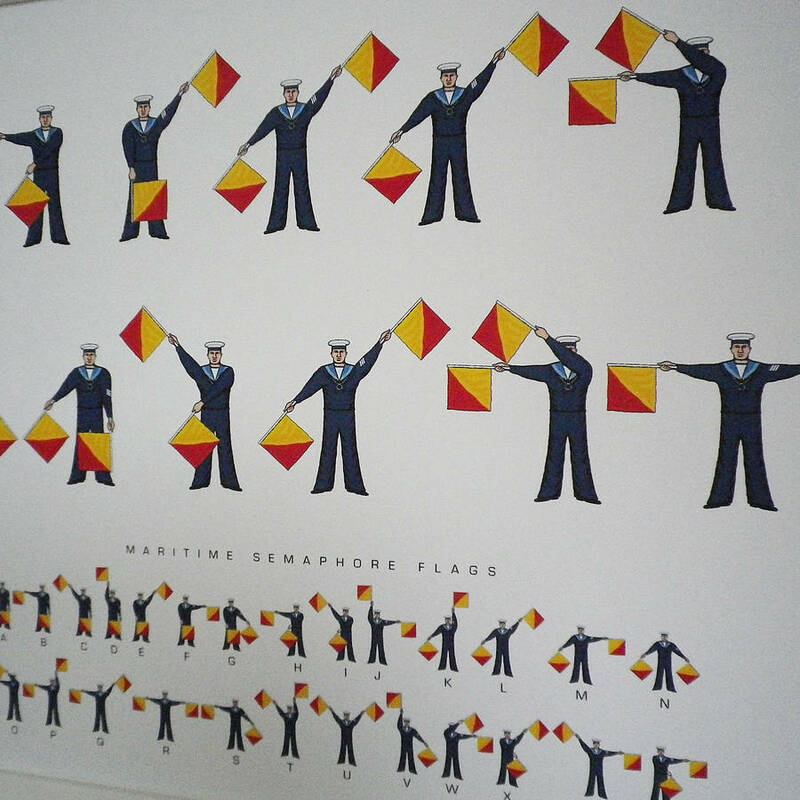 Any numbers will need to be spelt out. Choose the "Yes Please" option in the "Personalising" drop down box when ordering and add your message in the "Line" boxes. If sending direct to recipient you can add a gift message and their name and address at checkout, a dispatch note showing the price will not be included. For frame price go to "framing" option menu. 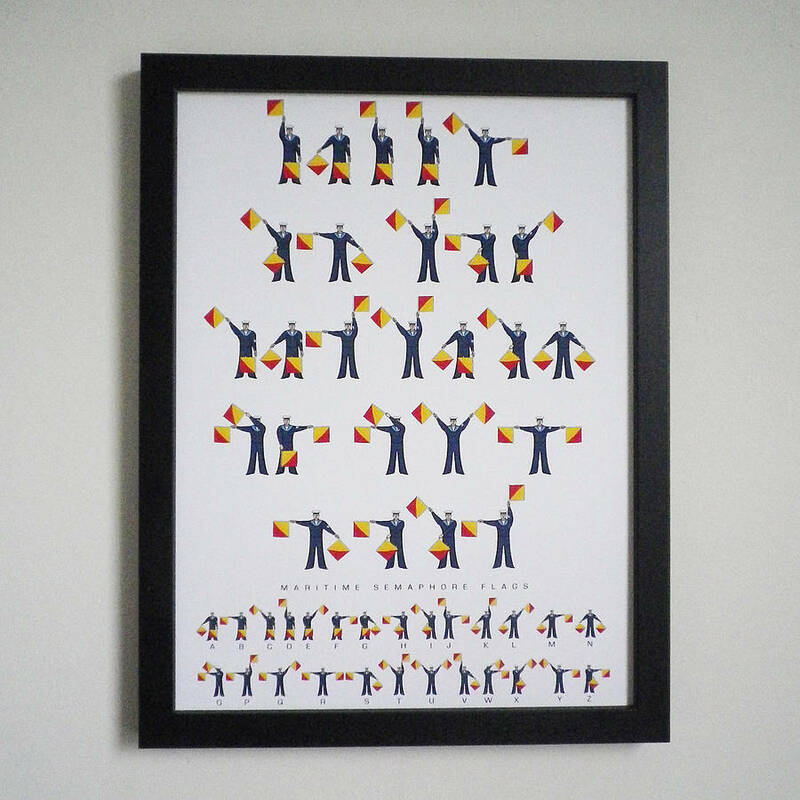 Giclée print on 192g Heavyweight Archival Matt Paper. 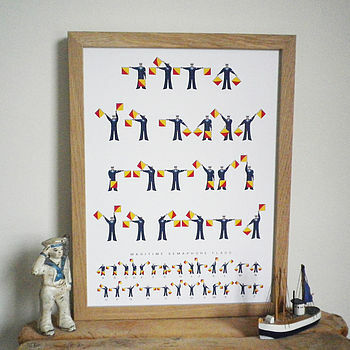 Unframed print is 29.7cm x 42cm and will fit a standard A3 frame. Packaged in a cello bag with grey board backing and delivered by first class post in flat in corrugated board envelope. 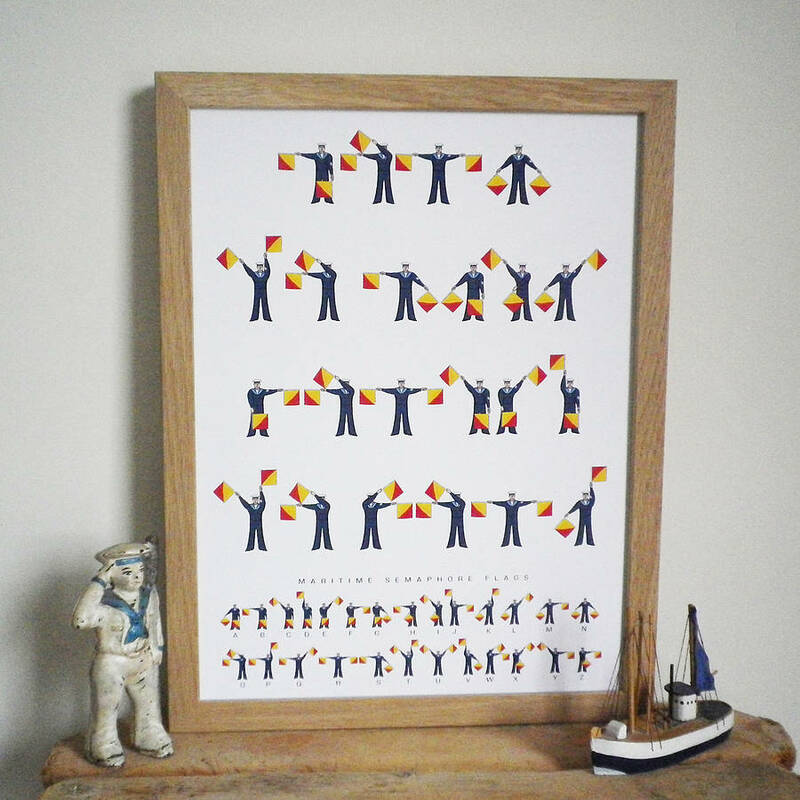 Unframed print available for Express delivery and International delivery. 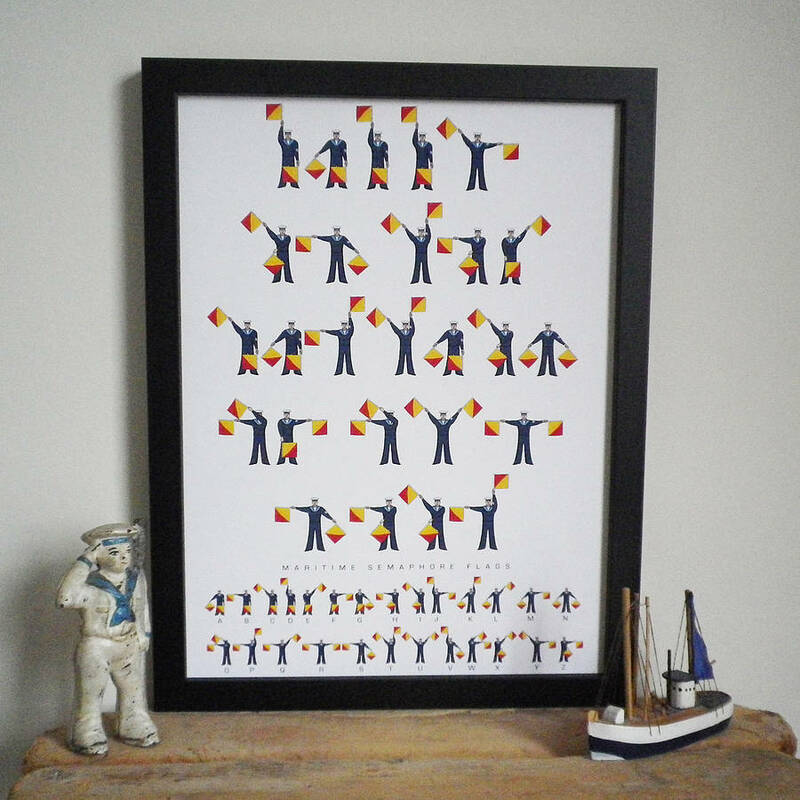 Also available as a framed print in a A3 white wood or black wood frame. 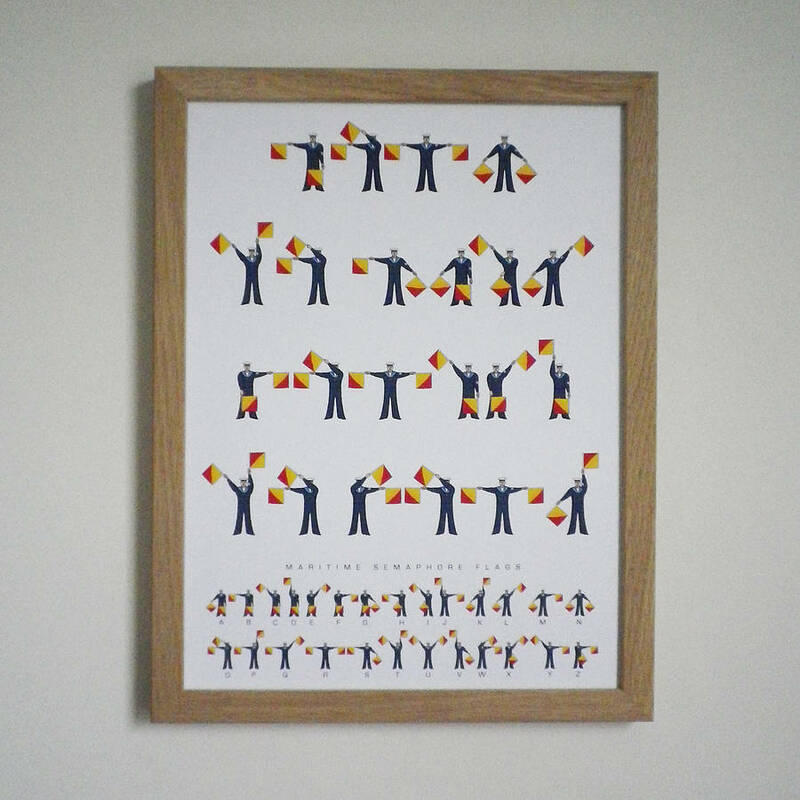 Please allow 2-3 days for delivery of framed prints from date of order confirmation. 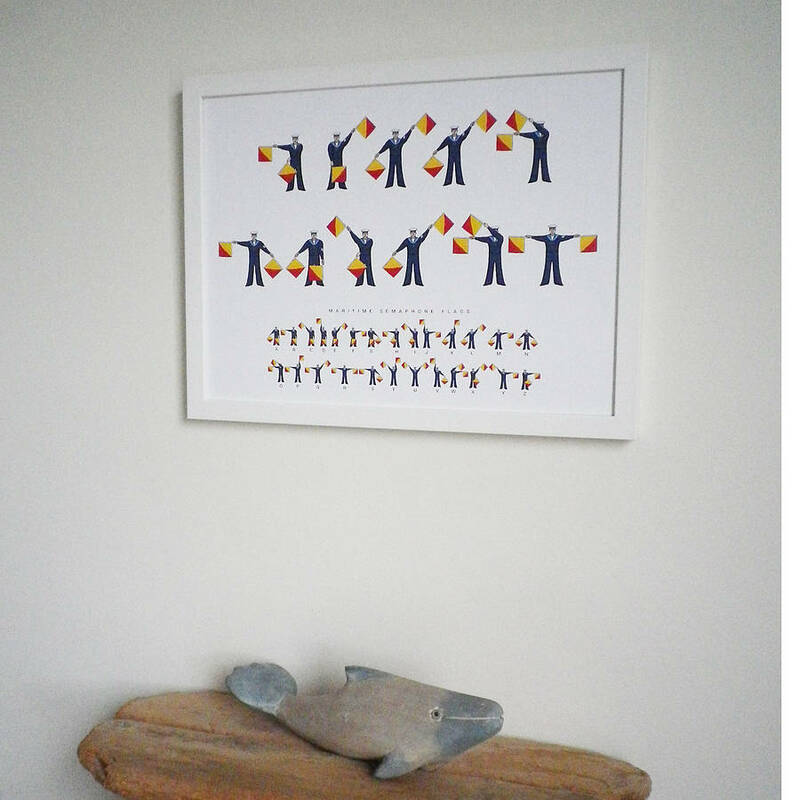 Framed prints are made to order and as such cannot be exchanged. This product is dispatched to you by Glyn West Design.